Help raise awareness and support for domestic violence! 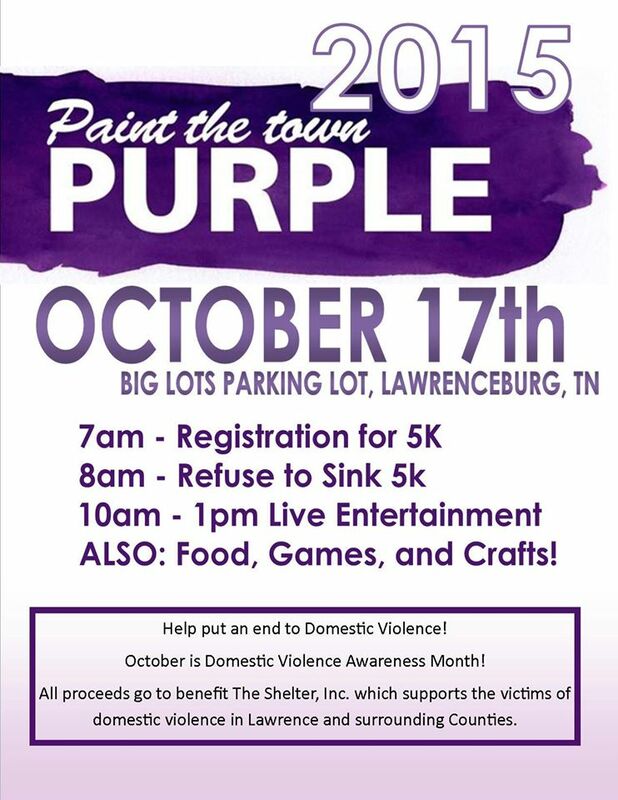 This event is assisting to raise funds for the Shelter, Inc. of Lawrenceburg which supports victims of domestic violence over Lawrence and all surrounding counties. Event includes a 5K run, live entertainment, vendors, and games. If you would like to become a vendor or sponsor for this event, contact J&M Tax and Accounting at (931) 244 6634.